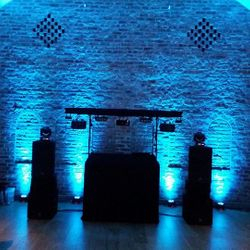 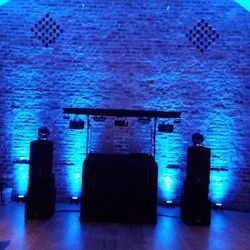 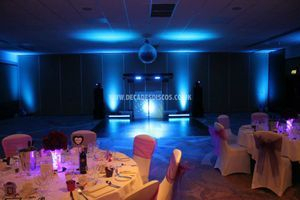 At Decades Discos I can provide Led Up-lighting or Down-lights, which is the perfect way to colour wash and tra nsform any venue, function room or marquee. 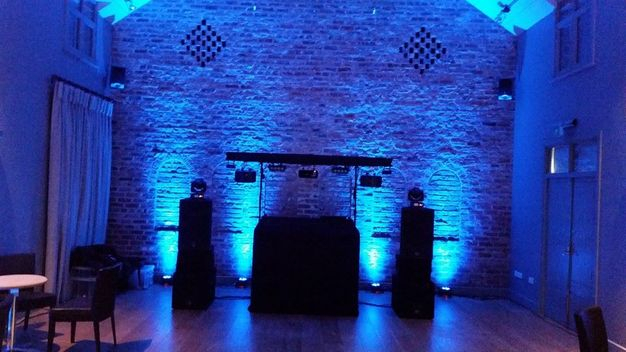 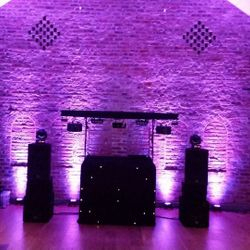 With Up-lighting you can either light the whole room (Venue), or certain features (pillars, ceilings, balcony's, the bar area, entrance or exits) We can set up perfect LED Lighting which can create the perfect atmosphere for any event. 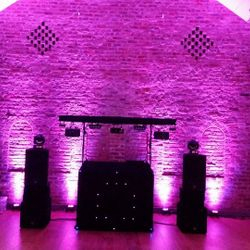 We can match your colour of the lighting to the theme of your wedding or party, and leave them on static (Still), or scroll through the complete colour spectrum, or we can even make the Up lights flash in time to the music, normally you leave them on static, and as the night gets going you can switch them to sound to light to really get the party going. 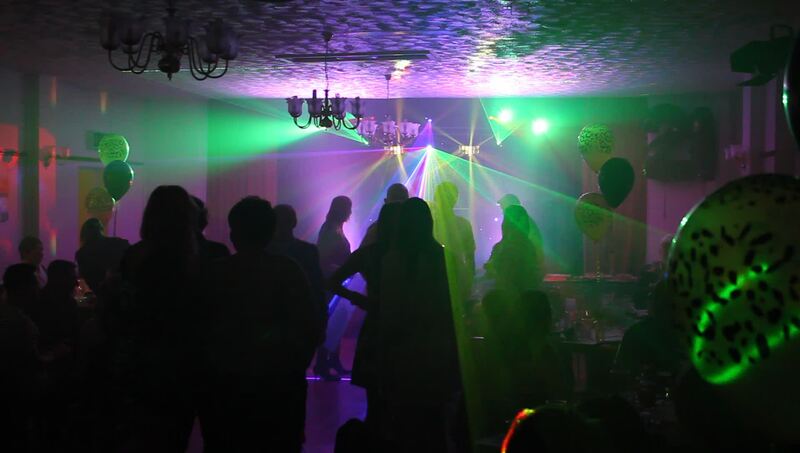 I just love the effect lasers can produce. 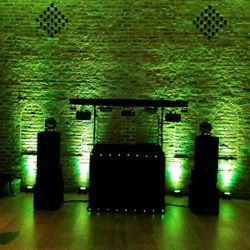 I Recently Invested £1500 in a KAM RGB Laserscan Laser. 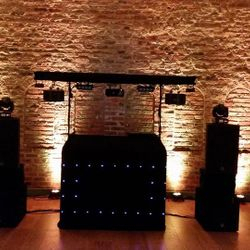 This is the ultimate in mobile Djing. 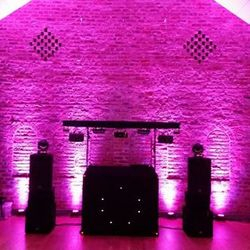 Creating a magical light show with or without a haze machine... Also to accompany this I have a red/green dual head laser which is i stunning base centre piece. 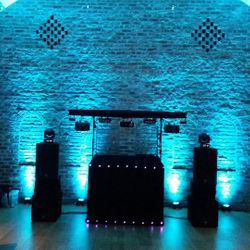 And to finnish of 3 KAM I-Link lasers on the top which all link together to complete the show - So with over £3000 worth of lasers available its your choice!